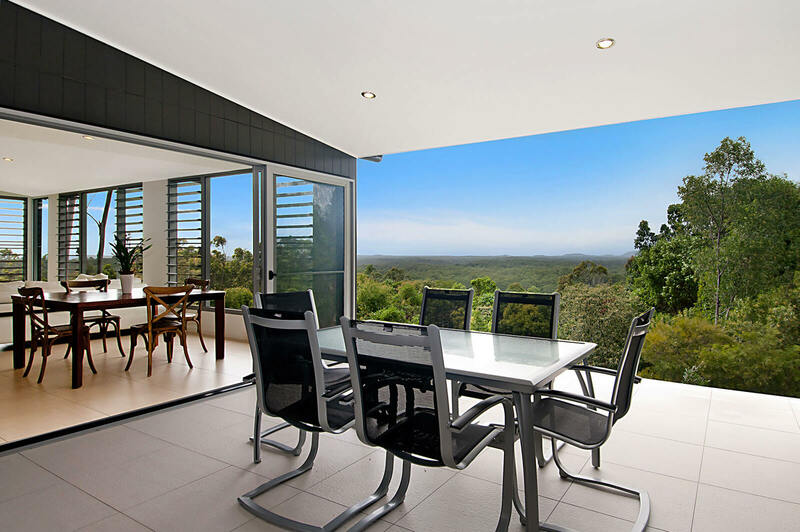 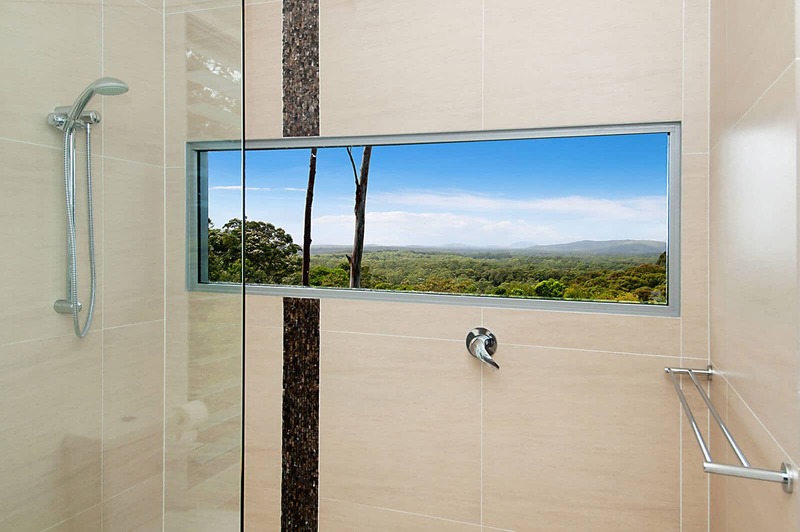 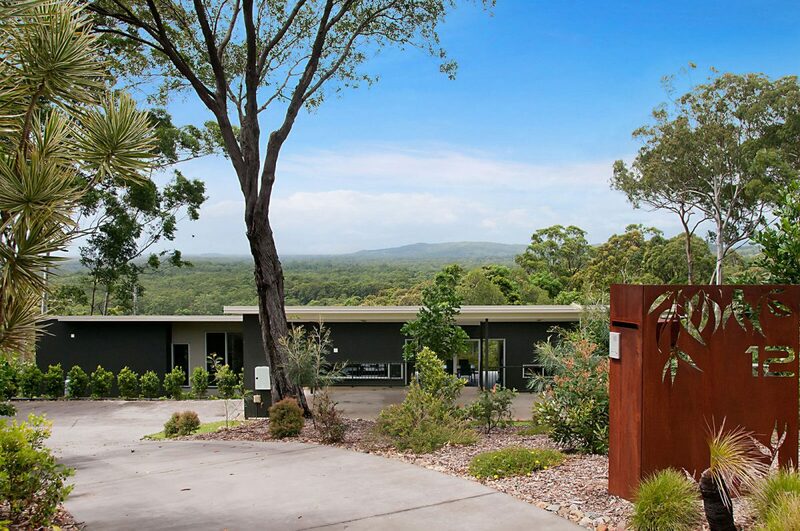 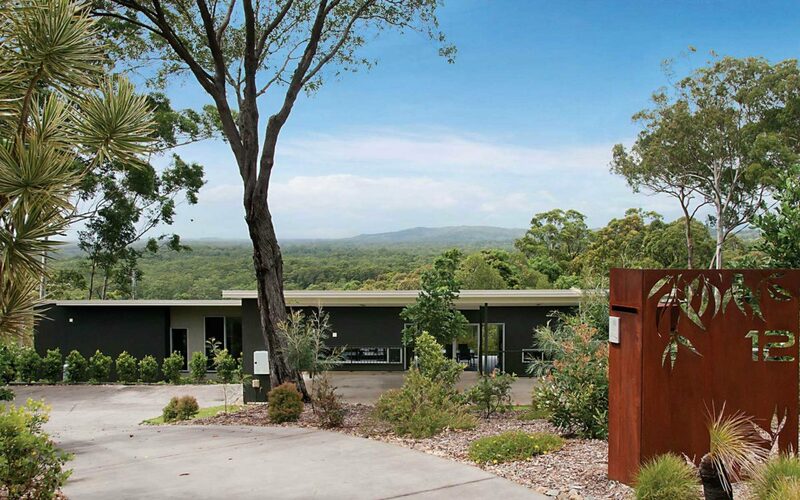 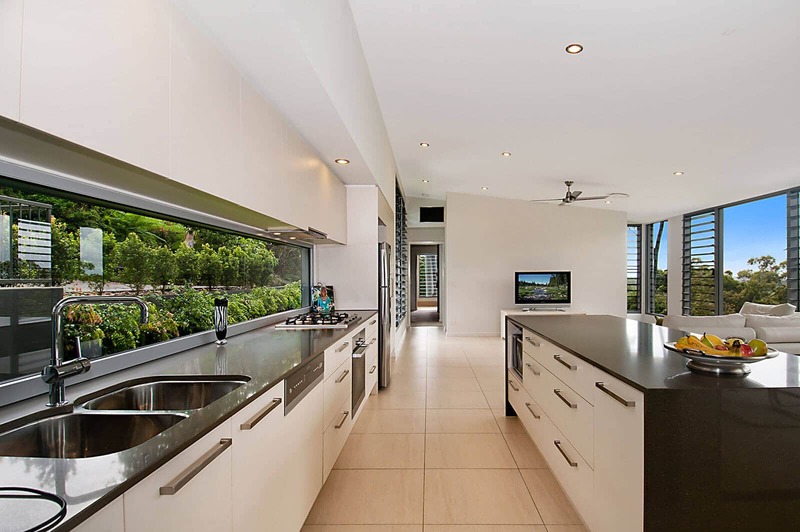 "The design of this Sunshine Coast home needed to make the most of expansive south-east views over bush to the coast, while still picking up the northern winter sun." The outdoor area sits between the living and guest bedroom wings of the house, so that it opens to both the north and south. 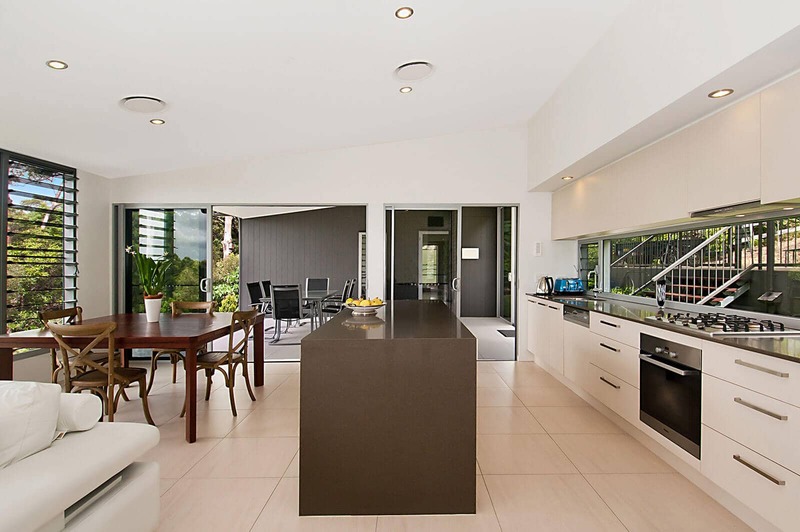 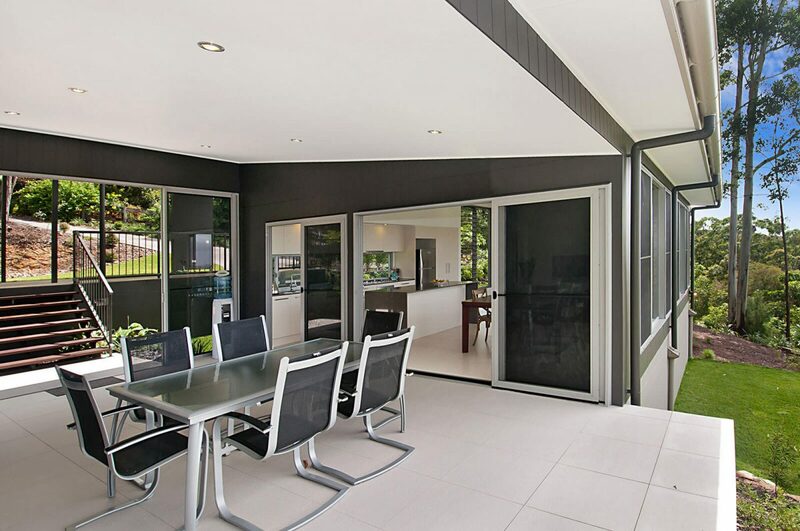 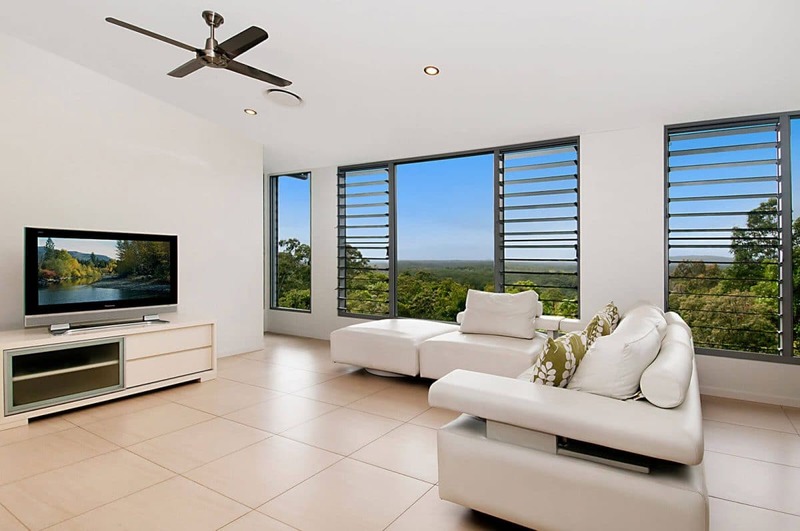 A raking ceiling to the living and outdoor areas provides high windows and maximum winter sun penetration, with large fixed glass picture windows to the south. 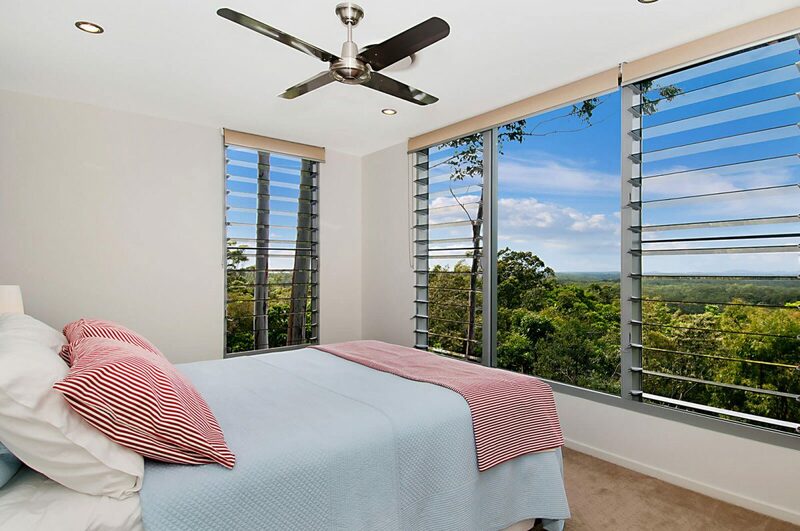 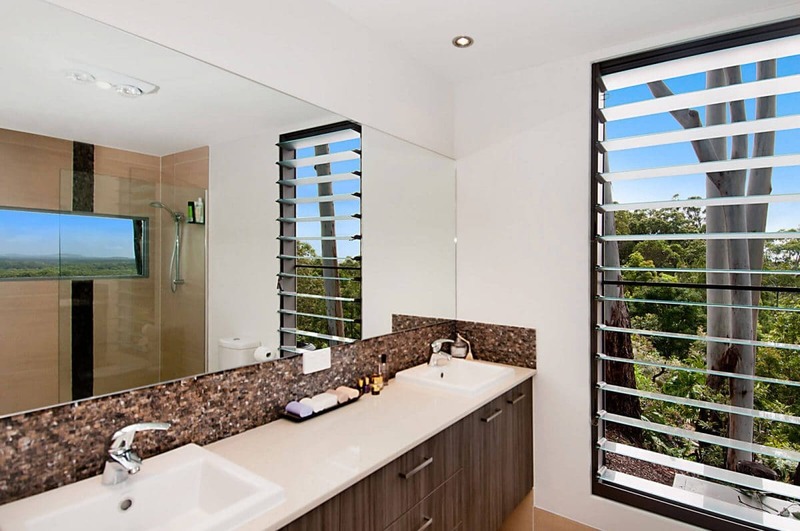 Selective use of louvres allows for control over southern wind and prevailing breezes.